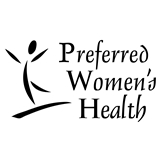 Preferred Women's Health (Bingham Farms) - Book Appointment Online! Welcome to Preferred Women's Health, your source for state-of-the-art obstetric and gynecologic care. Conveniently located in Bingham Farms, Michigan, Preferred Women's Health offers a comprehensive approach to gynecology and obstetrics with unsurpassed superior service. Our highly skilled Board-Certified physician, Dr. Christine Matoian and Physician Assistant, Melissa Rae, PA-C, offer specialized treatments for a variety of gynecologic conditions, as well as advanced obstetric care. Feel confident that when you visit Preferred Women's Health, Dr. Matoian and Melissa Rae, PA-C will utilize the latest advances in gynecologic medicine to ensure that you receive the most effective care possible. We are committed to providing you with timely and complete personalized care, integrated with maximum comfort, convenience, and privacy.